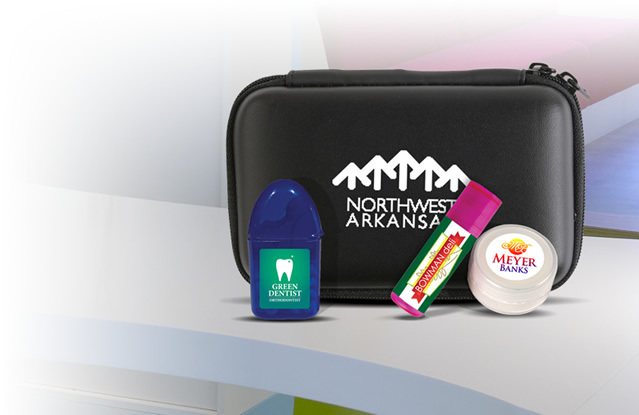 Executive Advertising has various kinds of promotional measuring items that will be suitable for your business. 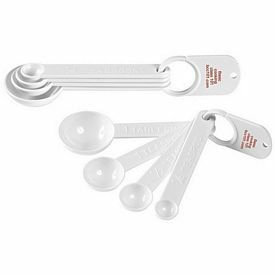 Try out our promotional set of four measuring spoons which includes sizes of ¼ teaspoon, ½ teaspoon, one teaspoon, and one tablespoon. 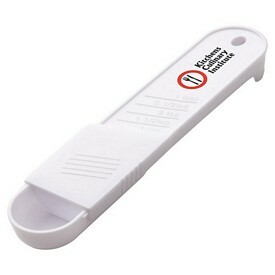 Promotional measuring scales are molded on the handles. 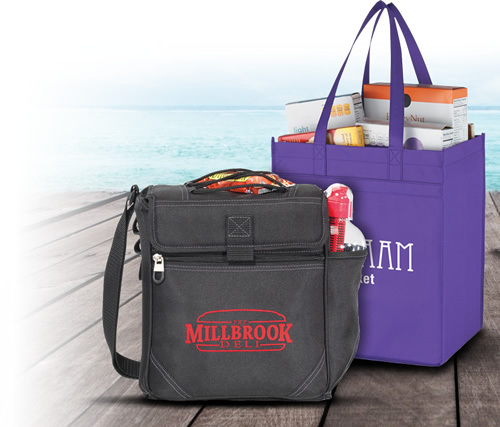 You can also get custom measuring items with a free color logo imprint of your company. 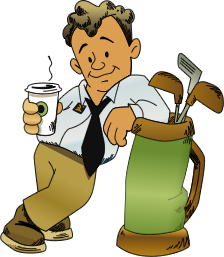 We will do the artwork eproof at no extra charge and no set up fees will be charged. 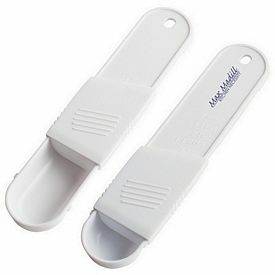 The branded measuring spoons are available in white. 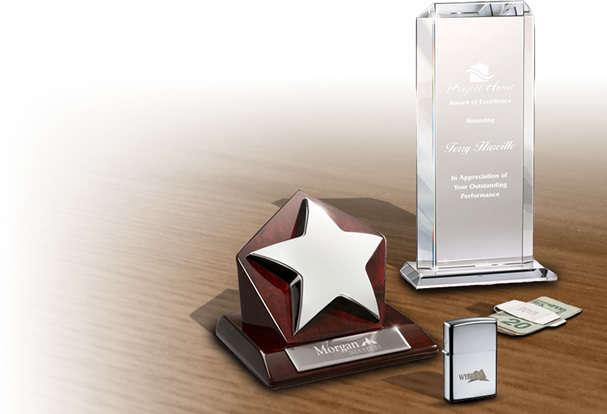 There is also a free 24 hour rush service on the customized measuring items. 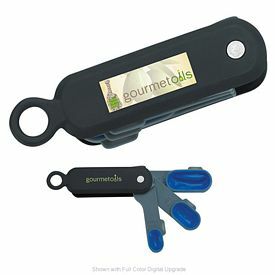 The Custom Swivel Measuring Spoons have been designed for convenience and easy handling. They take minimum space for storage. They can be quickly separated and fitted into standard spice jars. The logoed four piece set comprises of ¼ teaspoon, ½ teaspoon, one teaspoon, and one tablespoon. 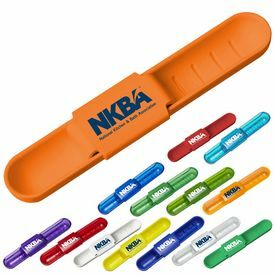 The promotional measuring spoons come in numerous exciting colors like blue, green, aqua, berry, lime, orange, pink, purple, yellow, red, smoke, etc. A free 24 hour rush service is provided only on selected few colors. The Promotional 20 oz Plastic Fitness Shaker with measurements is a customized health drink shaker. It is a reusable plastic bottle made of durable polypropylene. 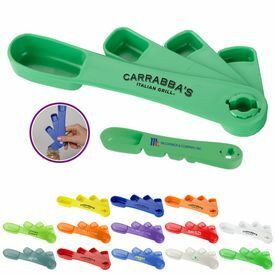 The plastic cap is removable and there is a tethered flip top which can be used for drinking. The measurements are printed on the side. It can replace any blender and is a great idea for your gym regimes. 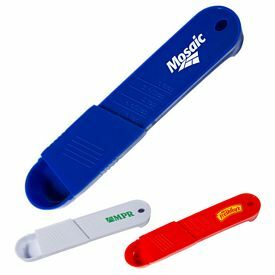 The branded measuring bottle is available in blue and multi-colored imprint and can be done for an extra charge. The Custom Measure-Up Cup set has a sophisticated look and will look excellent in any kitchen. 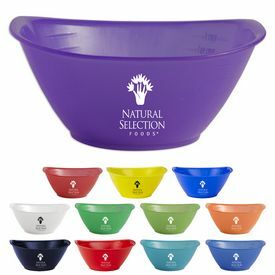 The Promotional Measure-Up Cup set has ¼ cup, 1/3 cup, ½ cup, and 1 cup measuring cups and can be used for both dry and liquid ingredients. 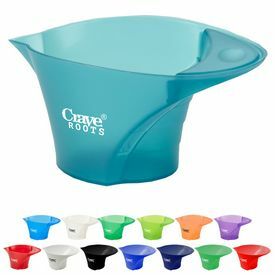 The cleaver connector has been ingeniously designed to measure one teaspoon of ingredients. 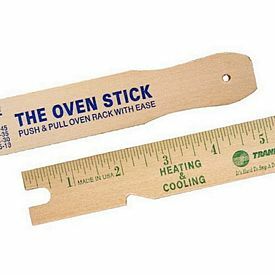 You can use the promo measuring item in the top rack dishwasher without any worry. Available colors are black, blue, green, pink, purple, red, salsa, yellow, white, etc. 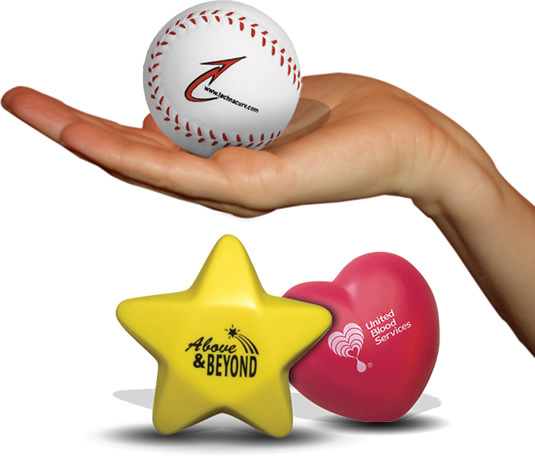 You can pad print your company logo and buy custom measuring items for your hotel business, real estate agency, or Service Company. 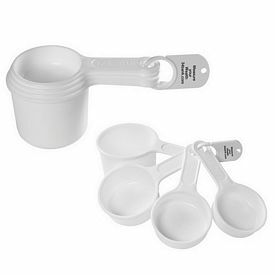 The Promotional One Cup Measuring Cup has been used in the kitchen for decades. We have slightly altered the design to bring an improved product. 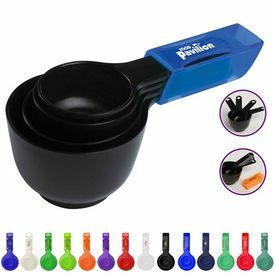 Check out our custom One Cup Variable Measuring Cup. It is more appropriate and easier to use. 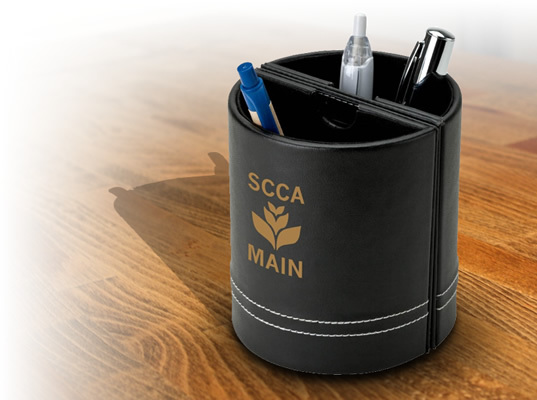 The design is innovative and the measurements are placed on the inside of the cup so that you can read the markings effortlessly. 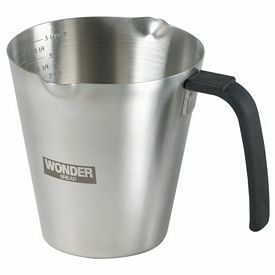 The markings are 1/4 cup, ½ cup, ¾ cup, and 1 cup respectively. 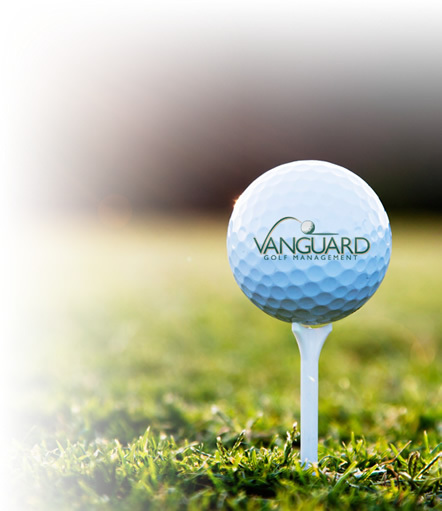 You can imprint your company logo on each side of the cup with white ink. 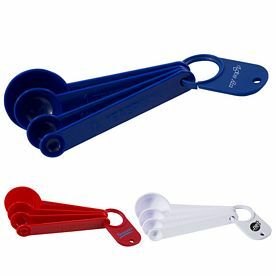 Customized Java Coffee Double Scoop Spoons are ideal as promotional measuring items. It has two sizes of one tablespoon and two tablespoons.